This project Vehicle Showroom Management System has been developed on PHP and MySQL. We have many collections of best core php project free download with source code and database. The main objective for developing this Vehicle Showroom Management System project can helps to maintain the customer information, vechile information, payment details, insurance details, loan details, take order, deliever order etc. This project Intends different types of forms with different of vechile varities provides to user to book online. This project provides a lot of features to manag in very well manner. This project contains a lot of adavance modules which makes the back end system very powerful. php projects free download with source code for learning and submission in college. Students can select php projects topic from given php project titles list and easily download php online projects with source code. 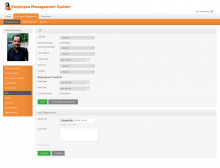 This project Result Management System has been developed on PHP and MySQL. Our website Freeprojectz.com provides many types of best php projects free download to be developed as the final year college project for students. 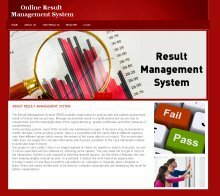 The main objective for developing this Result Management System project in PHP project is to record the details various activities of student. This project Intends different types of forms. It can help to store the result score and also generate performance reports such as progress reports. This project provides a lot of features to manage in very well manner. This project contains a lot of advance modules which makes the back end system very powerful. Student can free download php projects as academic college projects with source code database and documentation. Students can easily search and find php projects with database free download here. 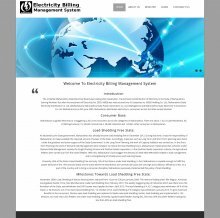 This project Employee Management System has been developed on PHP and MySQL. The main objective for developing this project is to managing many types of work related employees. 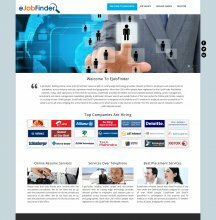 It can help for the employer to contain all the records of employee payroll and salary features. We provide Employee Management System project in php and mysql free download with source code. This project Intends different types of forms. It can manage employees personal details, family details and company details. This project provides a lot of features to manage in very well manner. This project contains a lot of advance modules which makes the back end system very powerful. These are php online projects which student can easily configure it and learn a lot from these. We provide full free download php projects with source code. We have developed this project for managing all the old questions paper in the a repository system, where user can easily search the past question papers according to their need. 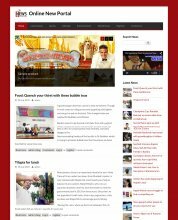 This project has been developed on PHP and MySQL. We have also implemented the roles management in this system, where each user of the system has a role and permission according to their role. Time Table Management system is an automated system which genets time table according to the data given by the user. The main aim of this simple php mysql project is to develop web application in college submission. The main requirement of the application is to provide the details about the branch, subjects, no. of labs, total no. of period and details about the lab assistance. Then the application generates the timetable according to your need. Students can download a best collection of php online projects. Student can also download php mini projects with documentation and synopsis. This project is aimed at developing an online leave management system that is of importance to either an organization or a college. 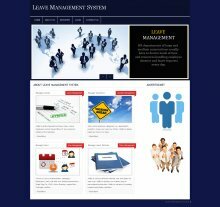 The Leave Management System (LMS) is an Intranet based application that can be accessed throughout the organization or a specified group/Dept. This system can be used to automate the workflow of leave applications and their approvals. The periodic crediting of leave is also automated. There are features like email notifications, cancellation of leave, automatic approval of leave, report generators etc in this system. There are registered people in the system. Some are approvers. An approver can also be a requestor. In an organization, the hierarchy could be Engineers/Managers/Business Managers/Managing Director etc.In a college, it could be Lecturer/Professor/Head of the Department/Dean/Principal, etc. The design of our project is aimed at developing an online leave management system that is of primary importance to a college. This project Online Shoe Shopping System has been developed on PHP and MySQL platform. The main objective for developing this project was to sell the shoes of different brands online. 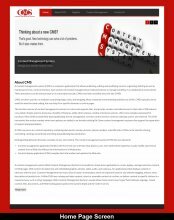 This project provides a lot of features to manage the products in very well manner. This project contains a lot of advance modules which makes the back-end system very powerful. In current system, we have integrated a single payment system Cash on delivery but in future we will enhance it with online payment system. This project Online Chat Application has been developed on PHP and MySQL. The main aim of the simple php mysql project is to develop web application as per student requirements. The main objective for developing this Online Chat Application project is to a social media application for users of similar interest the application on will have chat between groups or individuals calls or messages. It can help for managing communitation system between friends, employees, family, customers etc. This project provides a lot of features to manage in very well manner. This project contains a lot of advance modules which makes the back end system very powerful. These are very useful php mini projects with documentation for learning and submission in college. Students can easily free download php projects. 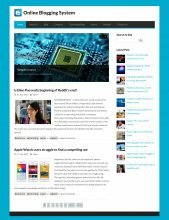 This project Online Blogging System has been developed on PHP and MySQL. 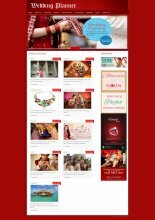 Our website Freeprojectz.com provides many types of php online projects to be developed as the final year college project for students. The main objective for developing this Online Blogging System project in Php is to managing users only where people can share their ideas and discuss on any topics. It can help for users who can publish daily journal entries. It gives everyone his or her own personal views to publish to the world. This project provides a lot of features to manage in very well manner. This project contains a lot of advance modules which makes the back end system very powerful. Student can free download php projects as academic college projects with source code database and documentation. Students can easily search and find free php projects with source code and database here.